Tell us about this summer's SoulScholarship program. 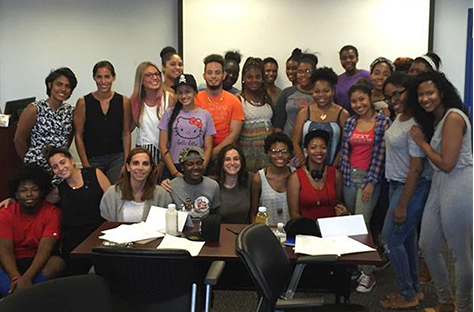 SoulScholarship worked with 30 underserved adolescents this summer from the Children's Aid Society, which is one of the largest social service agencies in NYC. 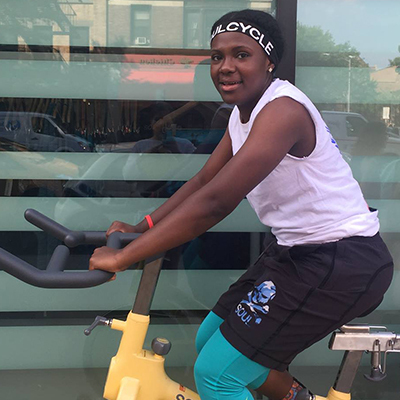 We brought kids to both the Brooklyn Heights and the West 77th Street studios to ride with instructors Madison Lari and Anandah Carter. How often did they ride? The Scholars rode twice a week for six weeks in regular classes. Additionally, they participated in an orientation/Soul 101 class to learn how to set themselves up on their bike as well as to learn the different bike positions. Amazing. What else did they do? The Scholars had classes in nutrition and healthy decision-making around eating. They also had a 'Job Readiness' workshop run by Soul HQ's Amy Peck and Alex Ciola to teach the Scholars how to write a good resume, tips for their job search as well as practicing interview skills. 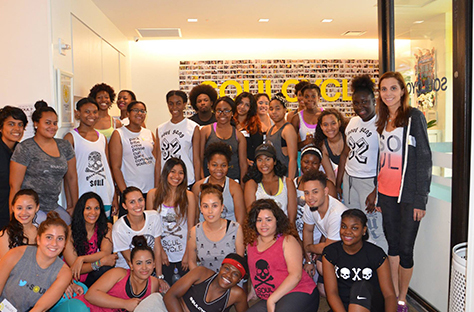 The SoulScholarship summer program ended with an incredible graduation party at SoulCycle West Village, where Madison and Anandah led a class together with all of the scholars. We presented the students with graduation certificates and SoulScholar sweatshirts. 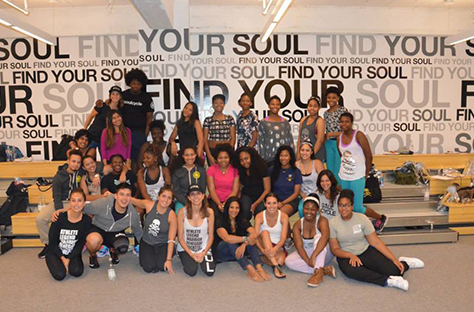 The Scholars now have the opportunity to enter Phase II of the SoulScholarship program, where each Scholar will be matched with a SoulCycle employee, who will be their 'Riding Buddy.' 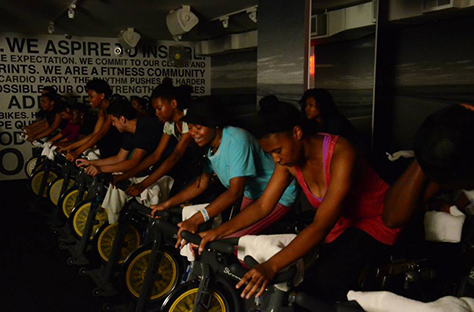 At the end of our year-long commitment to the Scholars, they will be able to ride at SoulCycle on a regular basis. What was the most surprising thing about the program? We had a few students that were very difficult to engage over the first several weeks of the program. Instead of dropping out of the program, they ended up becoming the most engaged, having the best attendance and connecting to SoulScholarship in ways unexpected. With a lot of attention from the instructors and the Soul staff, they came out of their shell and developed so much confidence and self-esteem from the program. What kind of impact did the program have? The impact of the program on the Scholars happened almost immediately. They had no idea what to expect from the program and became connected after their first ride. They talked about never having exercised to the level they did in a class and that they were able to accomplish things they never thought were possible for themselves. Among the Scholars riding the Brooklyn Heights studio, 77 percent are more excited about working out since the program began. For the West 77th Street group, 89 percent are more excited about working out since the program began. What was their relationship with the instructors like? They instantly connected to the instructors, and enjoyed giving Madison and Anandah song requests that they loved hearing during class. 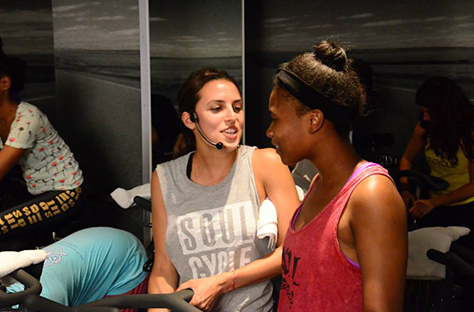 They immediately connected to the SoulCycle community and staff, who were always eager to welcome them and make they feel comfortable. They took control of their experience quickly and would walk into the studio with confidence and set themselves up on the bike and eagerly await the ride. Many of them came into class tired and left energized and ready to focus on what lay ahead for them. The Scholars appreciated the nutrition class and what they learned about how to fuel their body both before and after class and there was a significant decrease in juice and soda after the nutrition class. That must have been incredible to watch. None of the kids were ready to say goodbye at the conclusion of Phase I of the program and were eager to learn about ways they can stay connected to SoulCycle and to the individuals that ran the SoulScholarship program. Any feedback from the Scholars? What did the SoulScholars teach you? The SoulScholars connected to SoulCycle in the same way all of our riders do. They felt welcomed and connected to the community and left every class feeling like they could accomplish anything they set their mind to. They pushed themselves to limits they never thought were possible. Most of the Scholars reported through their journaling that they learned through SoulCycle that things get better when you commit and remain consistent. What's next for the SoulScholarship program? 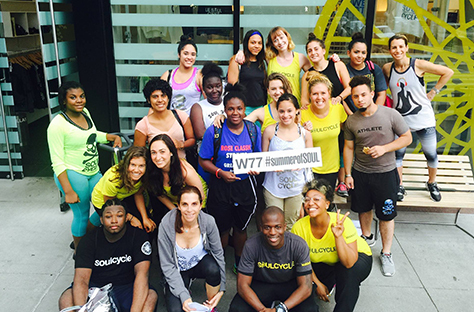 SoulScholarship will begin Phase II with our graduates; Full-time SoulCycle employees will be 'Riding Buddies' to our SoulScholars. They will ride two times a month together and have a juice after class where they can work on a goal they set together. Goals for the Riding Buddy and SoulScholarship mentoring piece include goals for the relationship, workplace etiquette, learning about the mentor's job at SoulCycle and conflict management. Will you be working with more adolescents? Yes! We will be partnering with the Carrera program at the Children's Aid Society in the fall. We will be working with 30 new adolescents from schools in the Bronx and Brooklyn and they will be riding with us two times a week and will be taking nutrition and job readiness classes. We are launching in Chicago this fall. Learn more about SoulScholarship on the Facebook page. Questions or comments? Email blog@soul-cycle.com!